We originally planned on having a Dr. Seuss celebration on his actual birthday, but Carter won the derby car race at church and will be doing the state race on Saturday…so we decided it Seuss it up today. We started out by making Thing 1 and Thing 2 cupcakes like the ones seen on GoGrahamGo blog, which is the brainchild of the wife of one of my childhood friends. I reconnected with Matthew after finding Felicia online. Life is funny like that, isn’t it? We talked to our red fish and our blue fish. And Asa tried to comb the baby’s hair and made it stand up like she was wearing a BumpIt and we all laughed until we couldn’t breathe. It was one of those moments that starts out with a little snort and barrels into a chorus of guffaws. It was perfect. I love my strange little birds. 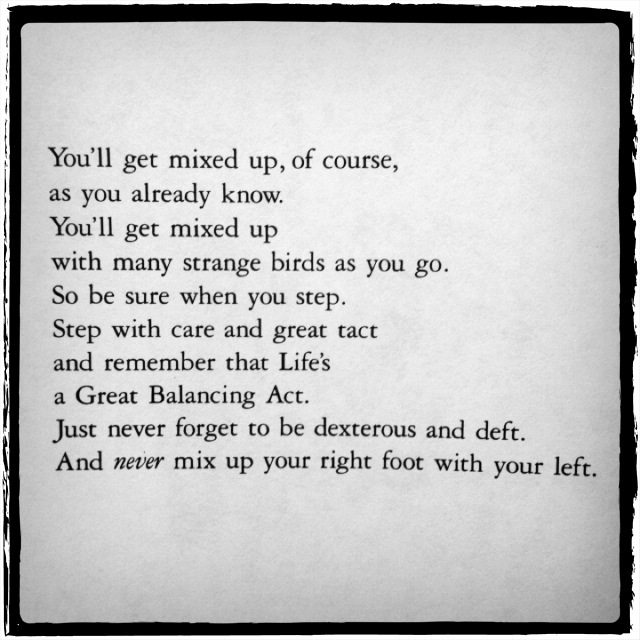 And I hope they never outgrow Dr. Seuss. Bridgette, it is so funny just how small the world is. It looks like you guys had a wonderful day! 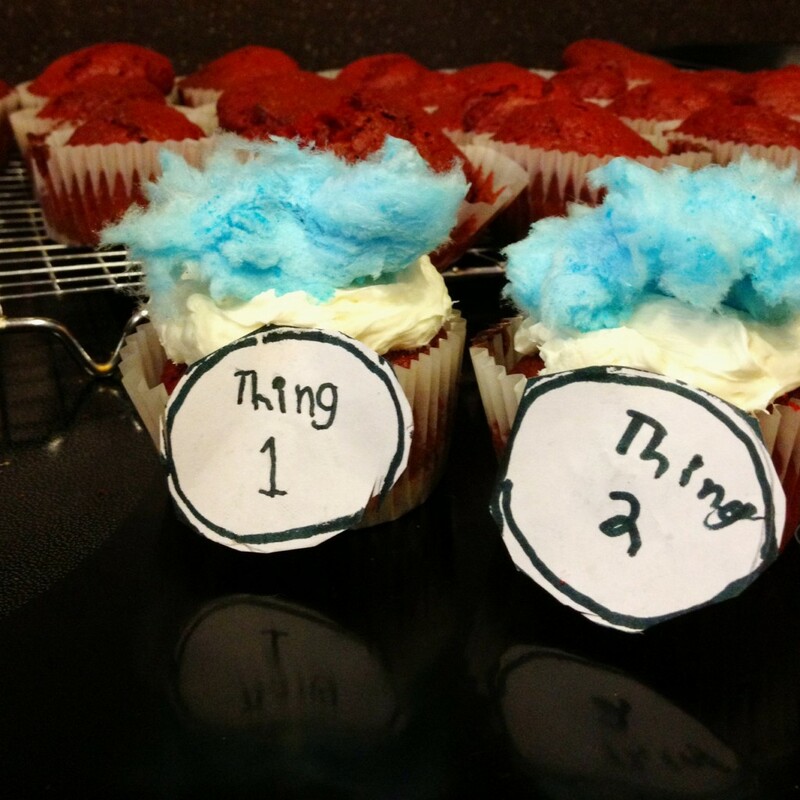 Great tip on using the icing to hold on the Thing 1 and Thing 2 signs!